1 or 2 player minigolf game. A 2D golf game. To begin, you must place your ball on the dark green Mat at the beginning of each hole. To do this simply move the ball with your mouse and click the left button to drop it. To aim your ball, move the mouse away from the direction you wish to shoot. A line composed of yellow dots will show you wich direction the ball is going to roll. The longer the line is, the more powerful your shot will be. Once you have your shot aimed click the left button on your mouse to shoot the ball. If you want to play Mini Putt games online you have come to the right place! GamesLoon adds new Mini Putt games every week. 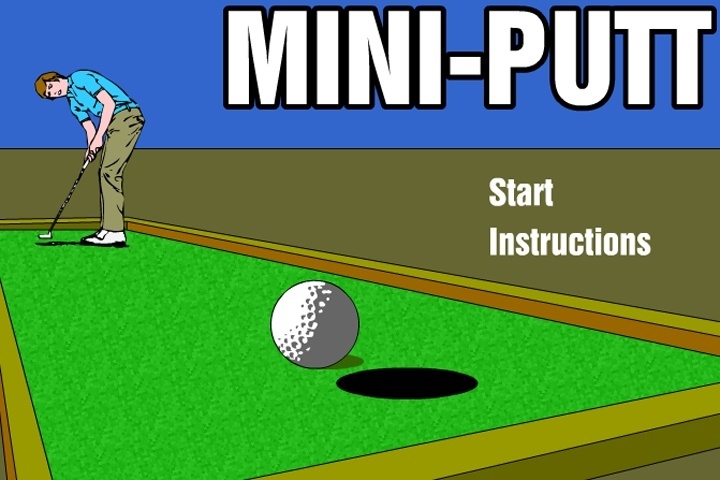 This is your game portal where you can find the biggest collection of free Mini Putt games online. Do not forget to rate our Mini Putt free online games while playing!